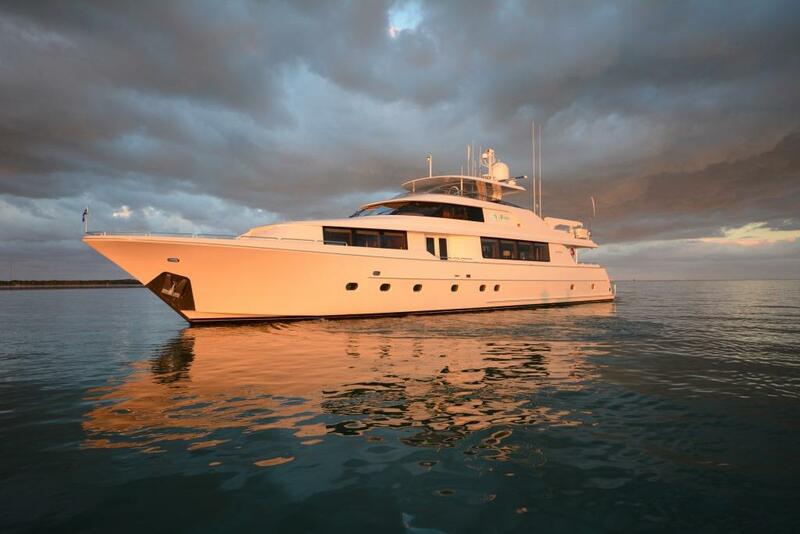 A lovely boat with fabulous interiors and exteriors, spreading over her 34-metres (112ft), luxury yacht MY MAGGIE has announced her charter availability in the sought-after yachting getaway destination The Bahamas as well as Florida. She was constructed in 2008 and represents a great vessel for family vacations or adventurous get-togethers with friends or colleagues. Accommodation layout consists of three double cabins and one twin cabins, offering a sumptuous overnight retreat to up to eight charter guests. 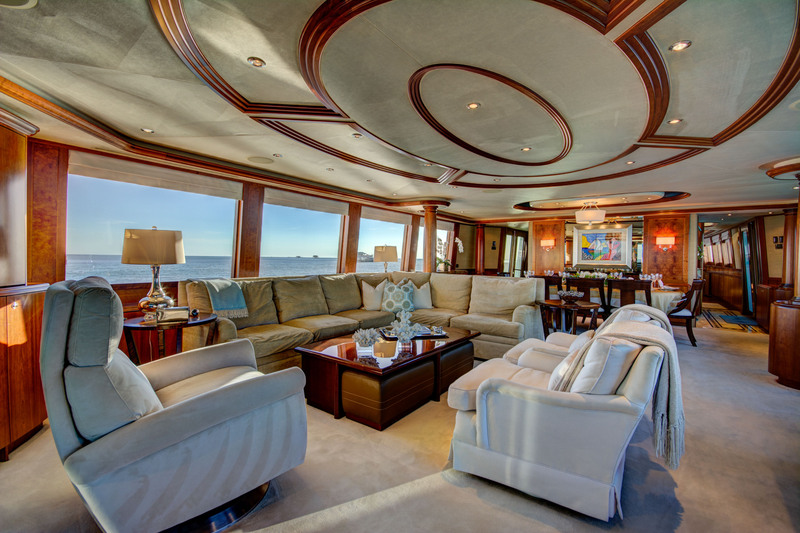 All cabins are situated on the lower deck with master stateroom located amidships and spreading the full-width of the vessel. 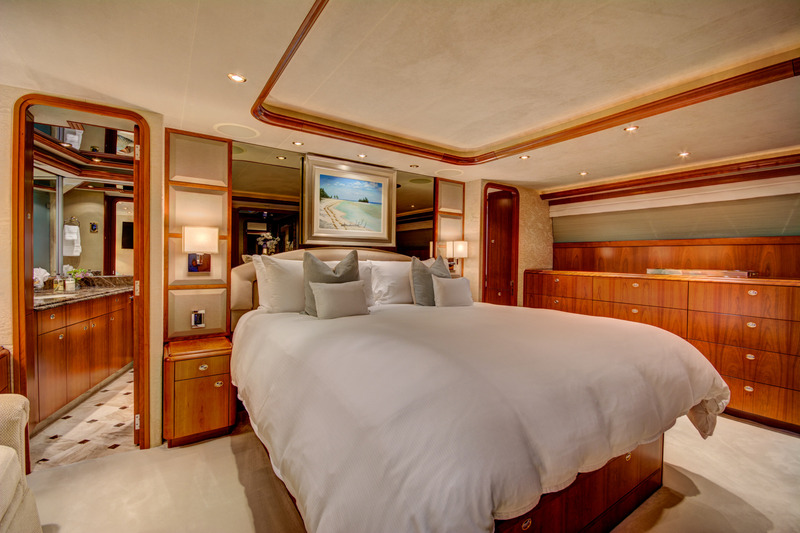 The VIP stateroom is located separately, forward of the galley, boasting a centre lined queen-sized bed. The guest cabin on the lower main deck is fitted with a queen-sized bed. The fourth cabin, boasting side-by-side twin beds can also be found here. 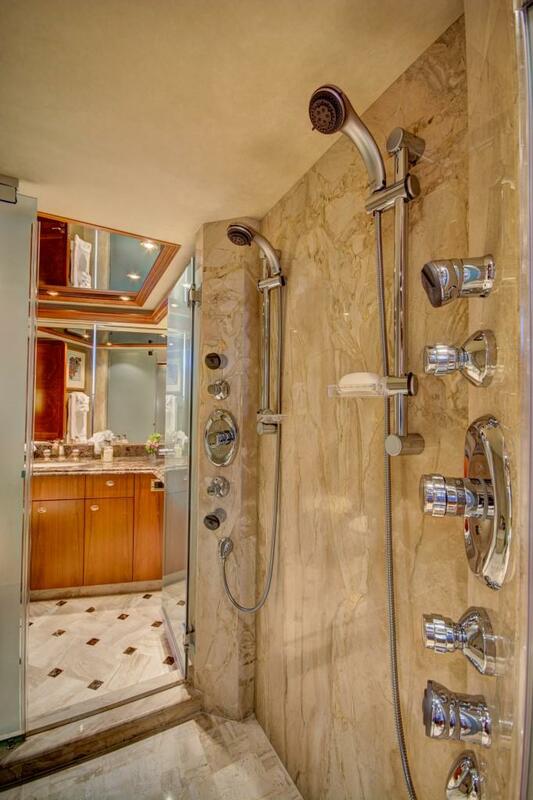 All cabins are luxuriously appointed and come with private en suite bathroom facilities. The interior socialising areas include the elegant and modern open-plan saloon with a formal dining area, fitted with a large sofa, settee, recliner chair and coffee table. Exterior deck areas spread over two levels. 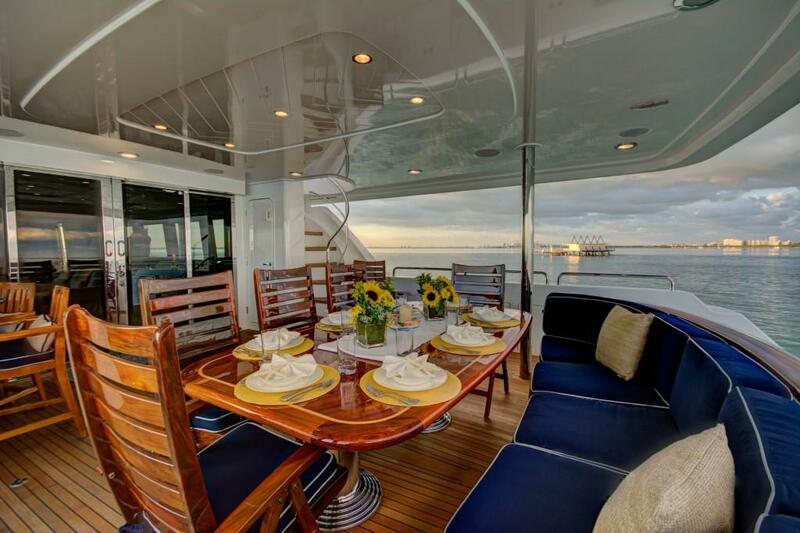 the aft deck is directly connected with the main saloon thanks to a glazed sliding door and provides a fabulous al fresco dining area, inviting seating arrangement and a popular wet bar. Dual transom steps lead to the extended swimming platform where guests can enjoy easy access to the water and the vast selection of water toys offered by MY MAGGIE. 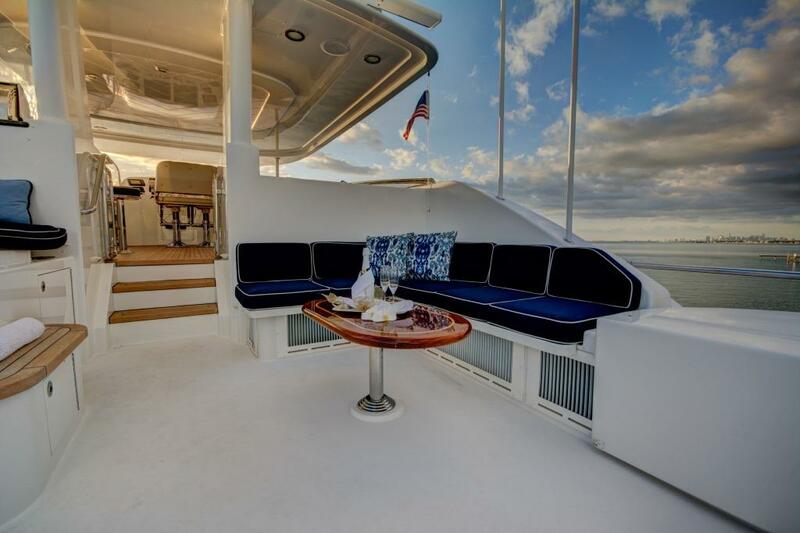 The upper deck can be divided into two sections: one, forward, is an exterior helm boasting plenty of seating and a wet bar, and the second one, located aft, offers a spacious sun deck, with more seating, chaise loungers and a Jacuzzi tub to completely unwind. 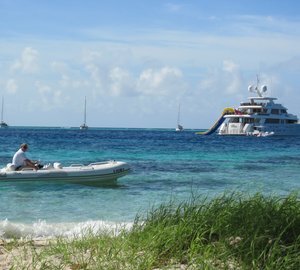 For additional information and available dates aboard MY MAGGIE as well as a full selection of motor yachts for charter in The Bahamas and Florida, don’t hesitate to get in touch with our friendly team. We are here to help you to create the best holiday ever! 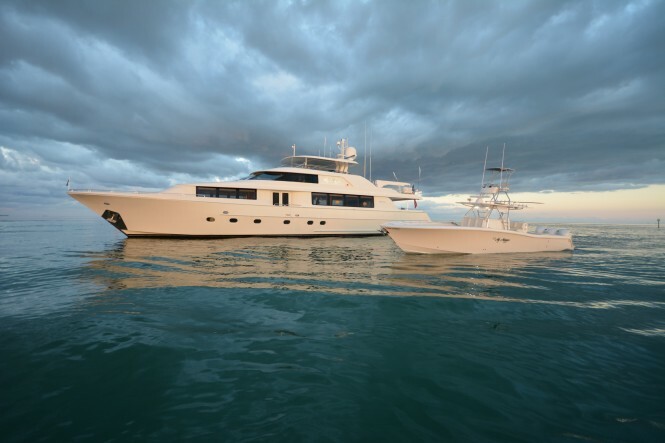 Please contact CharterWorld - the luxury yacht charter specialist - for more on superyacht news item "Westport Luxury Yacht MY MAGGIE Now Available for Charter in Florida and Bahamas".